A few years ago, I shared this chart stating the starting salary with you guys. Along with inflation, salary amounts gets updated too. The 75th percentile of physiotherapy graduates has a monthly gross salary of SGD$3500. The median monthly gross salary is SGD$3300. The 25th percentile monthly gross salary is SGD$3300. Usually, less than 25% of graduates received first class honours and most of the remaining graduates receive second upper class honours. I also shared previously that Singaporen guys receive SGD$200 more than their female counterparts due to the extra compensation from their 2 years of National Service. Hence, we can safely assume that the 75th percentile monthly gross salary of SGD$3500 is earned by a male with 2nd upper class honours. A female with 2nd upper class honours would then earn about SGD$3300 monthly. What if we include bonuses? In Singapore, the bonus consists of the Annual Wage Supplement (AWS), also known as the 13th month bonus, and the Performance Bonus. The AWS is 1 month worth of salary, while the performance bonus ranges roughly from 2.2 months to 2.6 months in the restructured hospitals. In the Voluntary Welfare Organizations (VWOs), the performance bonus may be on the lower end ranging roughly from 1 to 2 months. For physios working in Singapore, total bonuses would amount to 2 to 3.6 months salary if you include the AWS. In Singapore, the employer has to pay additional 17% of the monthly gross salary to the Singaporean citizen/ Singapore Permanent Resident's CPF account (Singapore's social security system). For a foreigner, they may be paid the additional 17% in cash instead. Please note that the figures do not include accommodation allowance allocated to selected foreigners. Why should a young Physiotherapist start saving and investing earlier? Singaporeans are generally good savers, and according to Barclays, Singapore's saving rate of 24% is only behind China and India. Cash and deposits amounted to 19% of total household assets in Singapore in 2013. With the backing of such data, I am assuming that the average Physio in Singapore is a good saver and I want to propose why you should start investing those savings as soon as you can. This is provided that you have paid off your high interest debts e.g. credit card debts, renovation debts. Would you rather be Jonathan or Joshua? Which of the two physios would you rather be? This is a no-brainer. Any intelligent Physio would choose 1. You invest lesser than and get higher profits. In situation 1, Jonathan started investing $1,000 a month into the Singapore stock and bond market from age 25 to age 45 and stopped contributing fresh funds into his investments due to increasing financial responsibilities in supporting his ageing parents and teenage children. He did not liquidate his investments, and re-balanced his portfolio yearly and received $1,624,088.11 when he turned 65. In situation 2, Joshua enjoyed his youth in his 20's and traveled widely. He even took 1 year off work to travel! When he had his children in his 30's, he sent them to the best childcare and music classes he could afford. However at 45 years old, he realized that he better start planning for the time when he would be too weak to work as a Physio A.K.A retirement. He started investing $3,000 monthly into the Singapore stock and bond market from 45 to 65 years old. Thankfully, he was not too late and managed to receive $1,519,195.04 at 65 years old. The last 10 years were particular difficult for him as he had to contribute to his children's tertiary education along with the medical expenses of his ageing parents. As shown by the area between the two lines in the graphs, Jonathan earned more from investing even though he contributed less. I would rather be Jonathan, controlling my spending right from the start! With fewer children financially supporting ageing parents, it is better to be slightly more prudent with our finances as early as we can. Do you think that a person should start investing as soon as he or she can? So you want to be a Physiotherapist in Singapore? Congratulations on choosing this career path! Physiotherapy/ physical therapy is a meaningful career where you will get to meet and help all sorts of people from different backgrounds. It can be very rewarding career as you see the improvements that your clients make with the treatment and advice that you provide them with. I have talked previously about starting salary of a Physiotherapist in Singapore here if you are interested. When I was in Junior College, I was pondering on my University options and I wanted to do something related to sports. After research, some career options that I found were Sports Science, Sports Coaching, and Physiotherapy. Fortunately (or unfortunately), I suffered a sports injury while training for school sports team. After googling on treatment options, I thought to myself that being a Physiotherapist would empower me with really practical skills as everybody experiences aches and pains every now and then. Hence, I decided to pursue my Physio diploma in Nanyang Polytechnic (NYP). It was the only way to qualifying as a Physio in Singapore back then. Those days, you need a A level's cert to enter the NYP programme. The route was often frowned upon and raised many eyebrows because who goes to Poly after doing A levels? There was a social stigma that you are going to a poly after A level's only because you have failed your A's. Moreover, everyone wants a "university experience"! Fast forward to 2017, the NYP diploma has been scrapped and now there is a 4-year Honours degree programme jointly developed by Singapore Institute of Technology and Trinity College Dublin. You can apply after doing your A levels, IB, diploma, or even another degree programme. Finally, after a decade of advocacy for a Physio degree programme in Singapore, it had come true. A high amount of emphasis is placed upon your passion for the profession as it is a really specialized degree. So because of the efforts of the seniors, you do not have to face the social stigma of going to a poly after A levels and you get to enjoy the "university life" at the same time. 2. Why do you want to do Physiotherapy? 3. What is community healthcare? 4. What is primary healthcare? 5. How does a Physio work with other professions in the hospital, community and primary healthcare? 6. What are the challenges of healthcare in Singapore? 7. What are the ethics involved in healthcare? Now, Google is your best friend and I wish you all the best in your physiotherapy journey! Do drop any questions you have in the comments section! 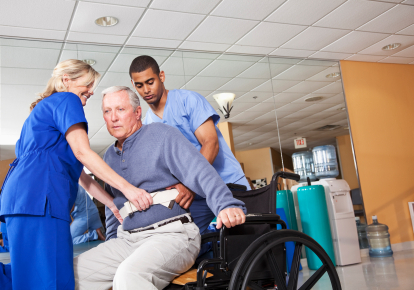 Physiotherapy graduates are highly sought after in Singapore. Last month, MOE released data based on the 2015 Graduate Employment Survey Results. Physiotherapy graduates from Singapore Institute of Technology have achieved 100% permanent employment rate. Out of 105 courses, it is 1 of the 12 courses to achieved 100% permanent employment rate. Woo Hoo! Graduates have a median salary of $3200. The amount reported is lower than the verbal sampling that I did last year. It ranks 86th when the average gross monthly salaries are compared. You need da strength lifting patients! Based on the survey, the demand for physiotherapists is still very high in Singapore but the salary is on the lower side. However, salary should not be the only consideration in taking up physiotherapy as a profession. It is a profession that has high physical demands and may not be right for everyone. However, you may derive great satisfaction when a patient recovers with your help and expertise. In fact, I would discourage you from joining the profession if you dislike being with people or if you dislike helping people. That leg probably weighs >10kg. https://www.facebook.com/MensHealth/videos/10156302324965207/?pnref=storyIs it really a "fix"? "We find that many people plan by first making financial decisions. When you plan for yourself, the first decision you make should be your ‘Life Decision’. The ‘Financial Decision’ follows. Decide first what is it that matters most in your life. What are you passionate about? What would make you happy? What is it that excites you. Decide on this first and then make your financial decision would be to support your life decision. In other words, adjust your financial life to achieve your life goals." Have you asked yourself what matters most in your life? "A very different study, in which robots interacted with stroke patients during physical rehabilitation exercises, yielded strikingly similar results. Introverted patients responded better and interacted longer with robots that were designed to speak in a soothing, gentle manner: “I know it is hard, but remember that it’s for your own good,” and, “Very nice, keep up the good work.” Extroverts, on the other hand, worked harder for robots that used more bracing, aggressive language: “You can do more than that, I know it!” and “Concentrate on your exercise!”"
Interesting. Sometimes you just got to be that evil therapist and at other times, a loving gentle one. What are your experiences in using different approaches with different people (in the healthcare setting or otherwise)? Please share!